Packers fans know that Ticket King is a great source for all the games at Lambeau Field and on the road. What some folks don't know is that we also buy Packers tickets. After all, we have to get them from somewhere, as their home games are sold out for decades to come. We're happy to make you a fair offer on your Packers tickets. If you live in the Green Bay area, feel free to call our Oneida Street office. (800) 992-7328. 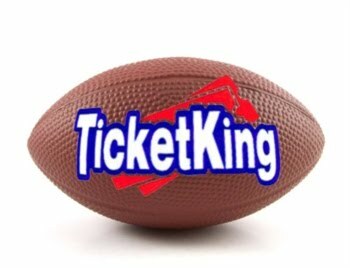 The Ticket King Green Bay office is open Monday through Friday, until 5pm. Don't wait until your tickets are in hand. We'll make you an offer today. Season ticket holders for the "Gold Package" games can call our Ticket King Milwaukee office, Monday through Saturday. Our ticket office is on the northeast corner of Broadway and Mason Streets. We're just across the street from the Milwaukee Athletic Club. (800)334-5434 Go Packers!